Would You Apply a ‘Dislike’ to Your Co-Workers’ Content? On Digg, you can apply the “bury” rating to stories. On Amazon.com, you can apply a single star to rate something negatively. Would you ever do that to the work of your colleagues? I’m not talking the annual HR exercise of 360 reviews. I’m talking Enterprise 2.0 apps, which incorporate the features we see out in Web 2.0. The ability of people to rate the content they see. Out on the Web, where you’re interacting on platforms with thousands of anonymous or unknown people, negative ratings make sense and help bring some order to the scrum of content and products. See Louis Gray’s post for a good perspective on this whole rating thing in social media. Inside companies, things are a little different. There’s a vetting of other Enterprise 2.0 users, in the form of the hiring and annual review process. This automatically raises the average quality of contributions. Personally, I’d have a hard time with this. In the most egregious cases, I’d apply the negative rating. But I’d strongly prefer to “work it out” in the comments to the original content. My concern is that a negative rating turns into a basis for internal feuding and chills open discussion about ideas, information and observations. But in a large organization with a heavy flow of content, maybe the negative rating is the most efficient way to handle the value if information. Perhaps I’m in the minority here. How about you? 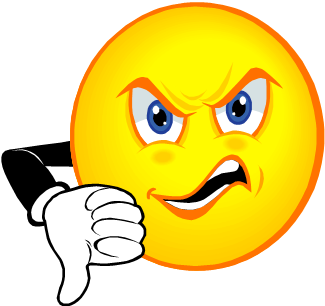 Would you give a thumbs down to your co-workers’ content via Enterprise 2.0 apps?